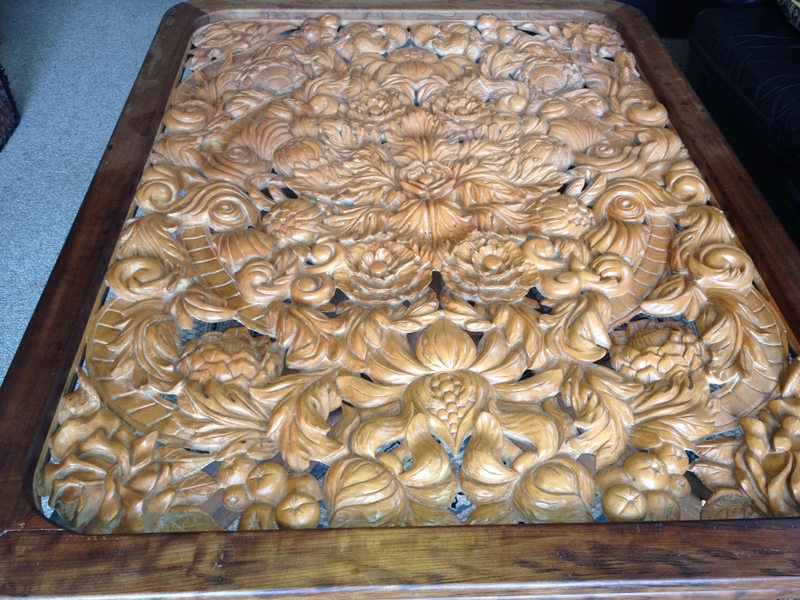 About 30 years ago my mother made me a coffee table. It turned out to be magnificent and was to be one of several made by her. It had later traveled to Australia (I packed it personally), it moved about to several rental properties before we bought a house, and then it survived another voyage to New Zealand. It is rather fragile and it is a miracle that it survived all the moves. It has also been used as a play surface by the grand kids, one who learnt to walk by holding on and going round and round. The baby also produces copious amounts of drool since he is teething and manages to drool under the glass top (another miracle), staining the wooden rim. It was looking a bit neglected. I wanted op restore it to its former natural glow but I hate varnish and oils would change the colour so left it alone for years and years. Last week I made some beeswax polish and tested it on a small part of the table – I was delighted with the result. I applied the polish with a dishcloth and buffed it up as I went along and the table looks wonderful. The pictures show the table without the glass top. Another good thing was that the table smelled good and I did not have to have to clean the wax from my hands since it is the same as the cream I put on my face. My mother was /is an artist and in her nineties now. She went from painting to sculpting, in wood eventually, ending up making bedsteads, doors , tables and huge full length mirrors in wood. The designs were her own and as a child I remember admiring her doodles which covered every bit of paper, the phone book, napkins, every thing that was at hand. 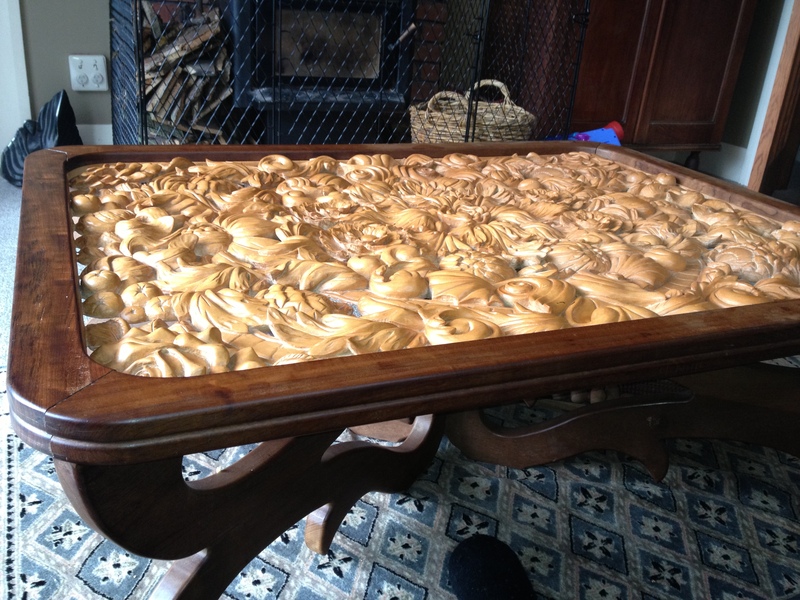 This table reminds me of those doodles, always full of curves and swirls and flowers and as I polished, I enjoyed tracing the forms with my cloth and fingers, a three dimensional doodle, almost, a wonderful gift from my mother. Thanks. It is beautiful and always a conversation point as well. 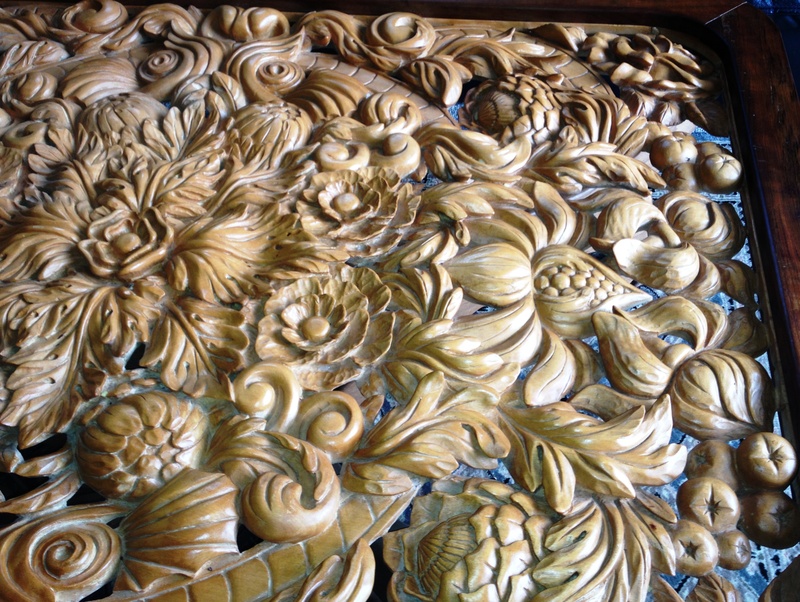 That is a real work of art,you should be very proud, wood carving of that quality is very precious.Beautiful ! !